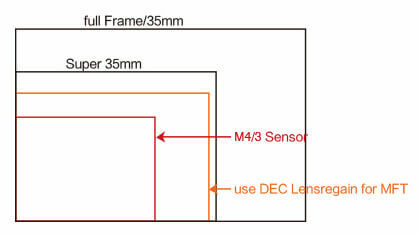 As the professional video DSLR continues to take hold of the market, the same problems have continued to exist: Foremost, many DSLRs are equipped with a non-full frame sensor (APS-C or Micro 4/3) most of these cameras are unable to shoot in a way that truly mimics Super 35mm film(full frame); Secondly, with all of these new mounts for cropped sensors, there are much fewer original lenses that are compatible with these cameras and the prices for them are much higher than most standard EF lenses. 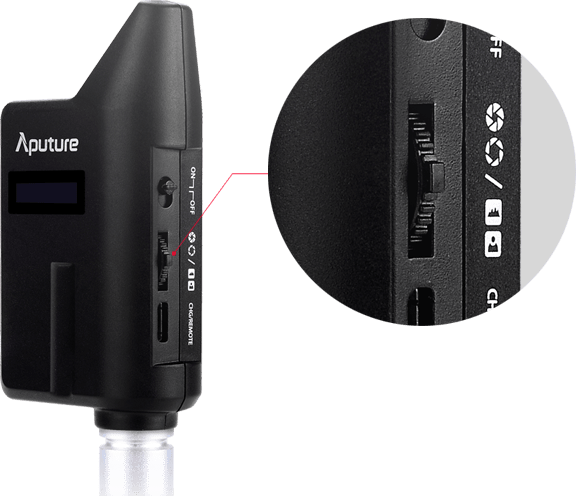 The first solution most people think of to solve these problems is to use an adapter that allows for the use of Canon full-frame lens on cropped sensor cameras. These solutions exist, but they cause the frame of the camera to be cropped. 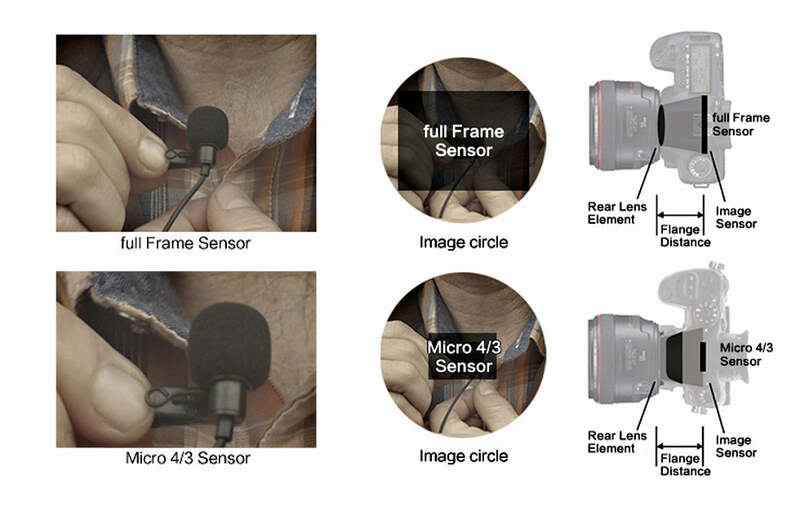 That means what looks like a 100mm lens on a 35mm full frame sensor will actually only look like a 50mm lens on a micro 4/3 sized sensor because the micro 4/3 sized sensor, roughly 18mm*14mm, is smaller than 36 × 24 mm (35 mm) filmframe. 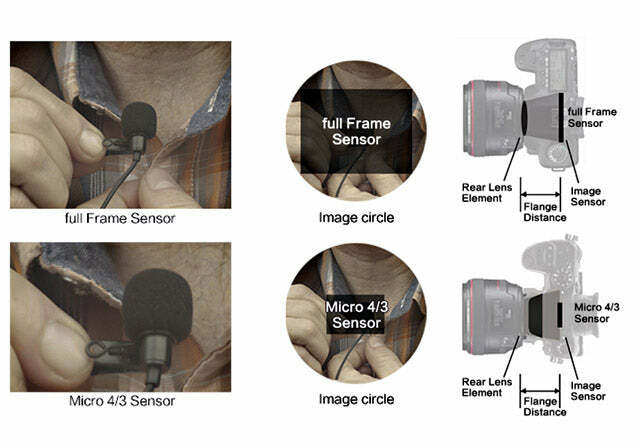 Since the sensor is smaller, the field of view captured on a cropped sensor camera is different than that of a full-frame camera even though they have the same lens. We use "crop factor" to calculate the approximate difference in field of view and focal length between a cropped sensor and full-frame camera. Generally the crop factor is 2x for Micro Four Thirds format cameras and 1.5x for APS-C format cameras. To solve this field of view problem, a "focal reducer" can be used. It eliminates the cropping phenomenon andregains a nearly full-frame view so it looks almost identical to the ideal of when a full-frame lens is used on a full-frame camera. 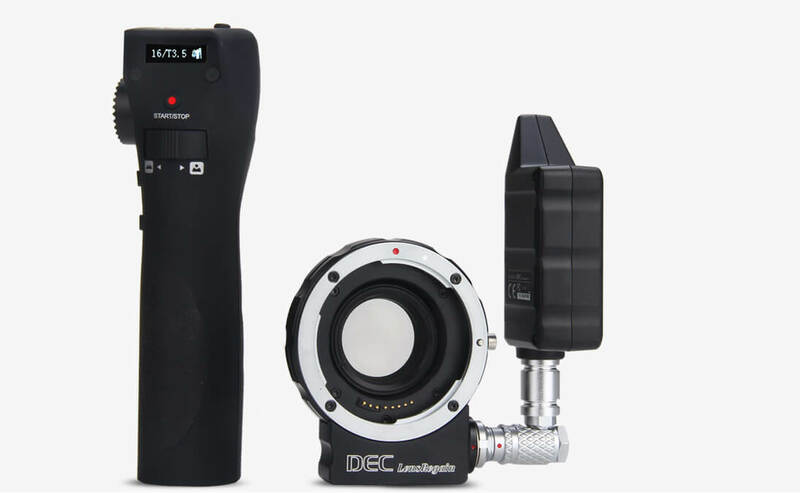 The DEC LensRegain is designed as both an adapter, focal reducer and even more--it is also a wireless follow-focus. 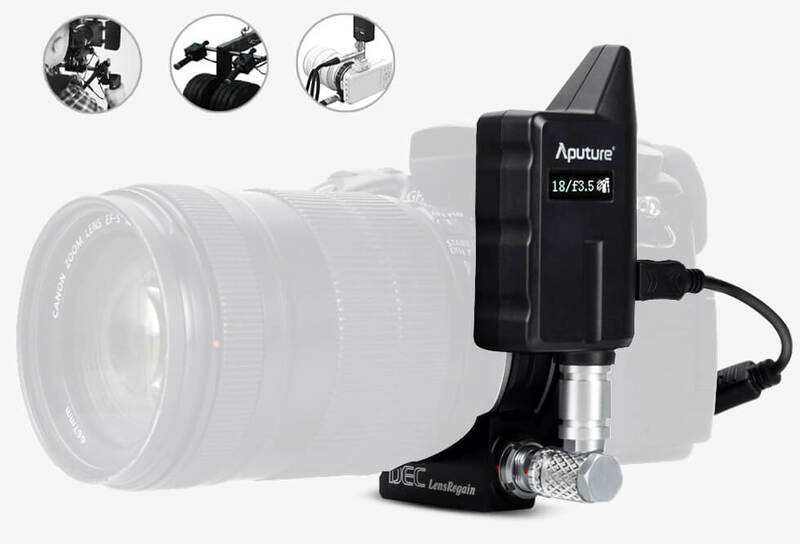 The Aputure DEC LensRegain for MFT adds a focal reducing optical element. 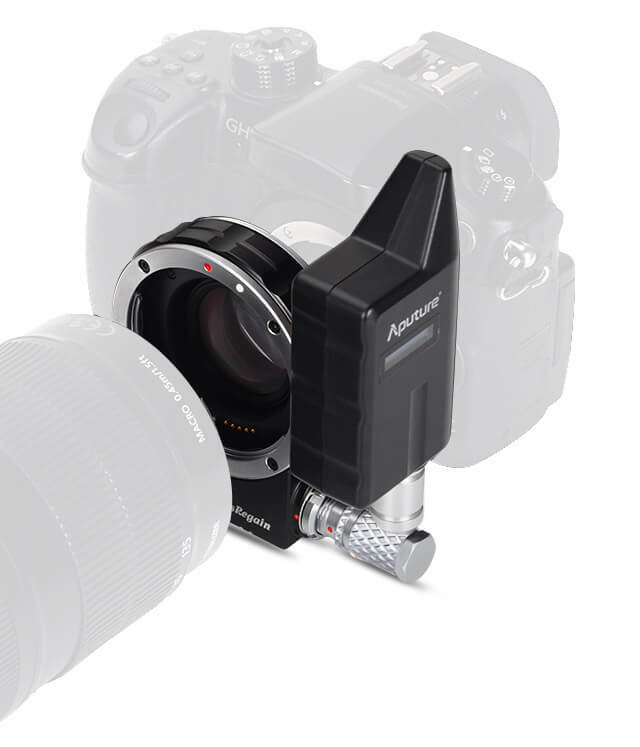 That makes it not only a follow focus and adapter, but also a device that gives cropped sensor cameras a full-frame-like view. 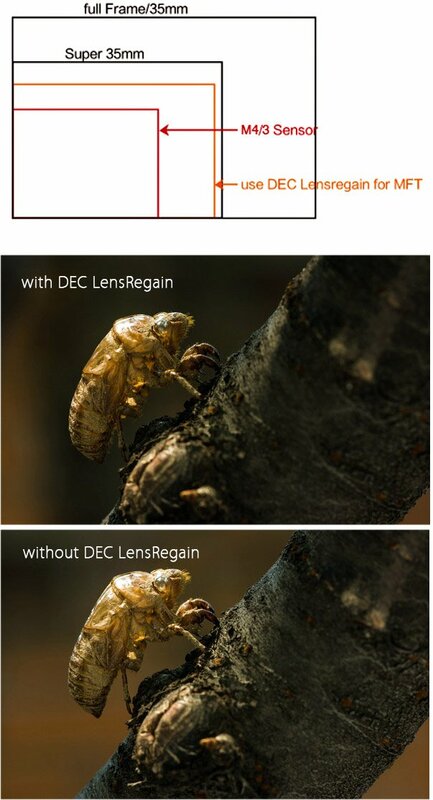 Specifically, the DEC LensRegain for MFT allows you to use EF lens. It enhances MTF performance and also adds an additional stop of light. The 0.75x degree of magnification is deliberately chosen. To get you the equivalent of a Super 35mm camera when a Canon EF 50mm lens is attached to a MFT camera body. With the simple attachment of the DEC LenRegain, your MFT camera will produce images like those from industry-standard Super 35mm cameras. 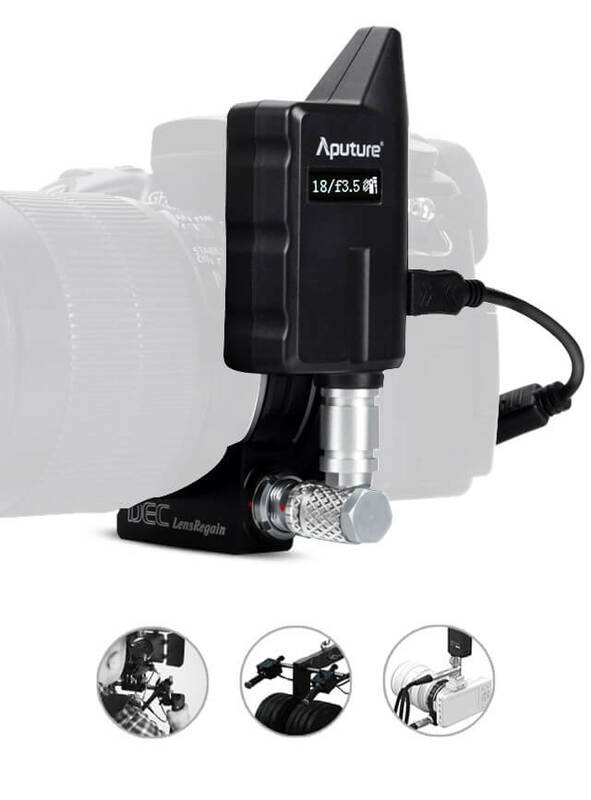 from now on, you can control focus and aperture through control box also. In terms of exposure, the DEC LensRegain also adds to your maximum aperture by one stop of light. That means your f/1.4 lens will work like that of an f/1.0 lens. With this advantage, a lower ISO can be set in low light shooting, and a higher shutter speed can be set while still maintaining the proper exposure. To more accurately determine exposure in relation to this additional stop, the new T-stop is also displayed on the DEC LensRegain's OLED screen. In addition to getting a full-frame-like view, the DEC LensRegain has seven layers anti-reflective coatings on each of its 4-element, 4-group optical elements. 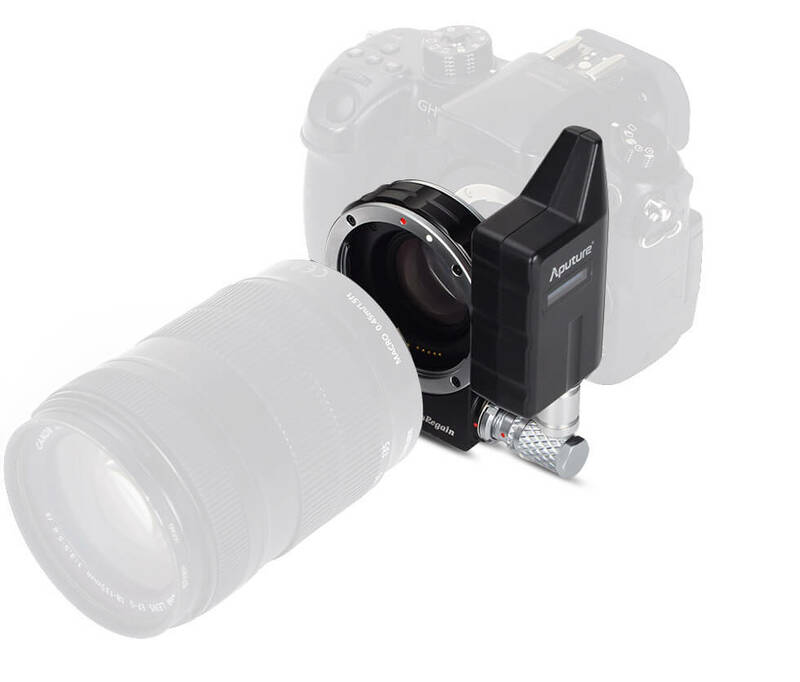 It reduces the view of an EF lens to 0.75x and also brings more information and light to each bit of your camera’s sensor. 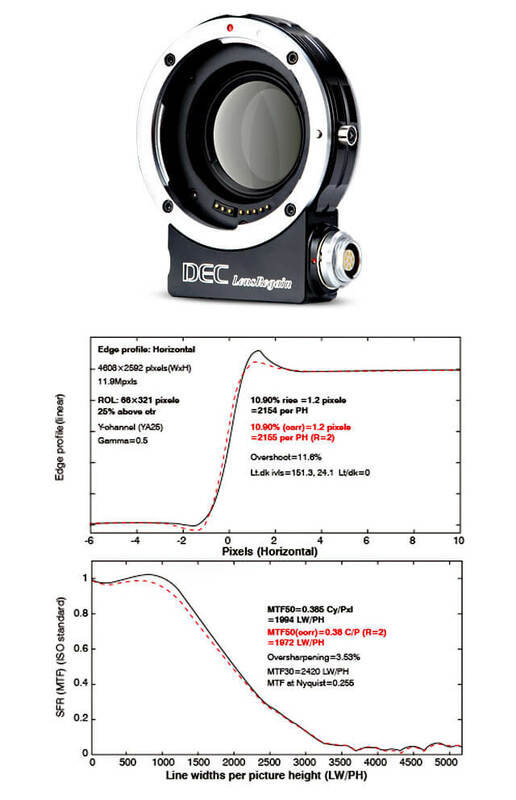 Due to the meticulously crafted quality of this extra optical element, the DEC LensRegain boasts exceptional performance when being judged in relation to MTF, anti-distortion, and anti-dispersion. We're proud show that the DEC LensRegain is competitive as not only a follow focus, but also a focal-reducing-adapter built in one. 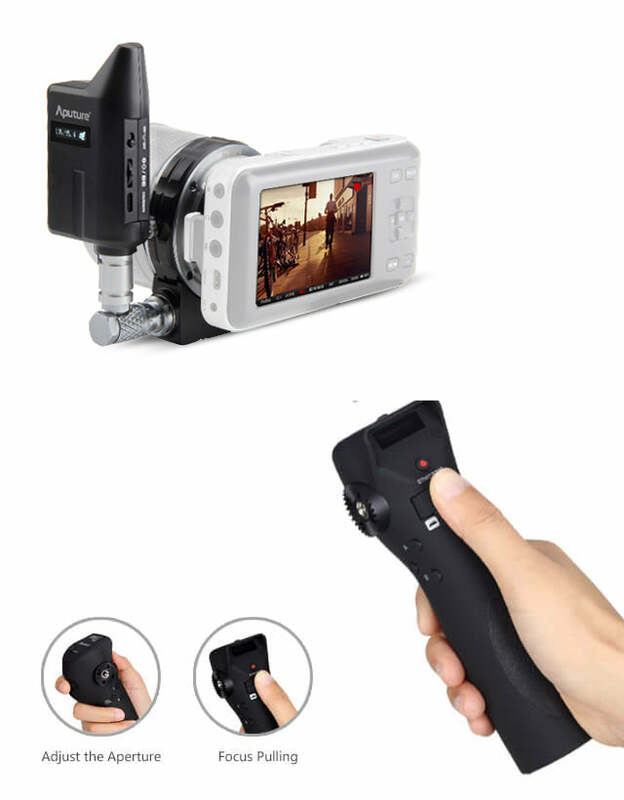 The 2.4G wireless frequency allows you to wirelessly follow focus, remotely start/stop recording, and adjust aperture. The internal focal-reducing element allows you to regain the equivalent field of view of a full-frame camera. With a camera package so light, you'll be free to create what nobody has been able to achieve before. We believe that user experience comes first. Beyond the optical element, there are also some additional changes that have been updated from the previous DEC. 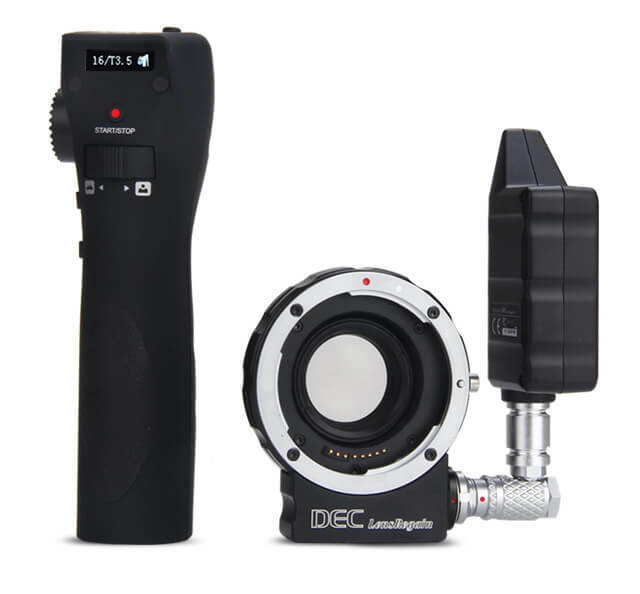 The DEC LensRegain also features a new all metal build and an extra 1/4" mount to both protect it from breaking and for easier mounting onto your existing equipment, like electronic stabilizers, and steadicam, rocker arm sideways. There is also a separate extended cable and bracket, to allow for a wider range of possible set ups. You asked for it. We made it. It's the DEC you've been waiting for.